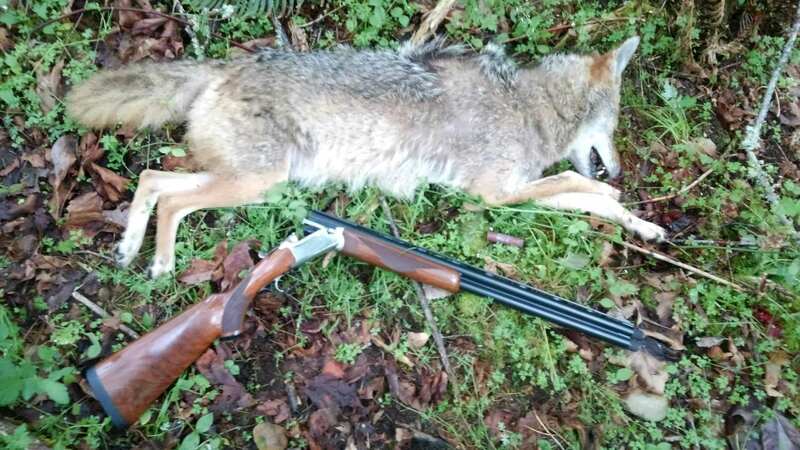 Recommend me the proper choke for yotes. Thread: Recommend me the proper choke for yotes. What brand of shotgun is that? Fastdadio. Long time shotgun hunter, since 1959 anyway. I have hunted fur and varmints for about that long. My 1st piece of advice is... get a #12 gauge repeater of some sort, better a #10 ga. My most dependable yote killer is my Ithaca 10 ga automag with custom Carlson chokes. 4 buck is great in the heavier loadings for 10 and 12 gauge, BBB is also good. Since you are going 20 ga I'd suggest 4 buck or something like T, F, or BBB and a light full or improved modified choke. Get a selection of shells and test for pattern and hits in relation to point of aim. Follow link attached to go to Nitro Ammo company. They will be able to have what you need for coyote loads in a 20 ga. Lurk about their site and get what you need. their ammo is expensive but is the best I've ever run through a shotgun aimed at furbearers or critters I want dead. Thanks for all the input folks. I decided to go full choke based on all the reading I've done and the input from here. After checking out the offerings from Carlson's, Tru Lock, and Brileys, I voted with my wallet and bought from Carlson's. Simply because they also listed a rifled choke in the Bennelli style where the others did not, and I want to play with that also. Once I get a loader and get things rolling, I will buy a bag of the TSS in #4B and give it a go. I will also be experimenting with round ball loads. Can you even get TSS in 4 buck? It would be a waste if you could. With the real stuff 18 g/cc, I'd be looking at #2. You better have deep pockets though, you could buy 5 chokes for the price of a single pound. glockky- That's a Ruger Red Label. That’s what I thought. Very nice looking shotgun. Derp, I typed that before I read up on TSS. Looks like #2 shot is the ticket in TSS, according to the write up in the Predator Master forum. Boy howdy is it spensive. I may have to wait on that one.